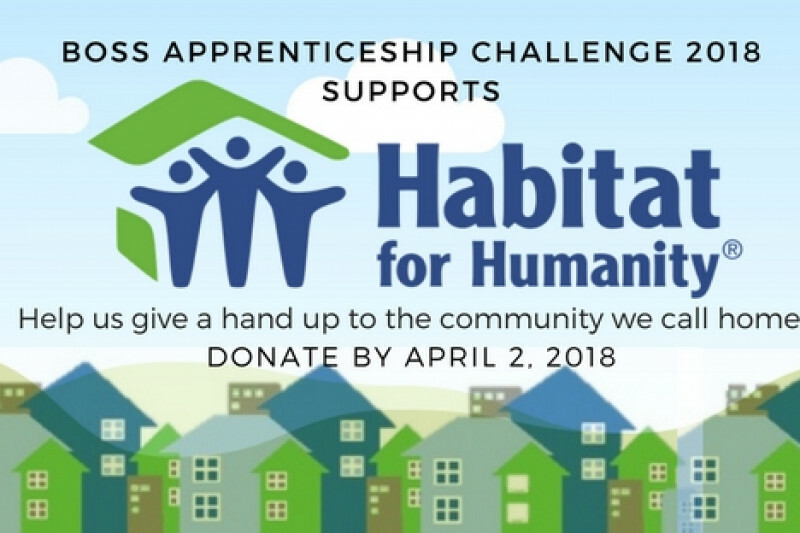 We are a team of 7 Orientation Week Leaders (BOSSES), who have been challenged to raise awareness and funds for the Kingston Limestone Region's Habitat for Humanity Chapter. We have until April 2, 2018, to reach our goal of $2,500 - donations of any amount are greatly appreciated! Help us help the community we call home! 100% of your donations will go towards building a house for a low-income family in need in the Kingston community. If you have any questions, please feel free to reach out to us on the Queen's Habitat for Humanity Facebook page. Thank you in advance for your generosity and support!